Get Readyyy... and GO! 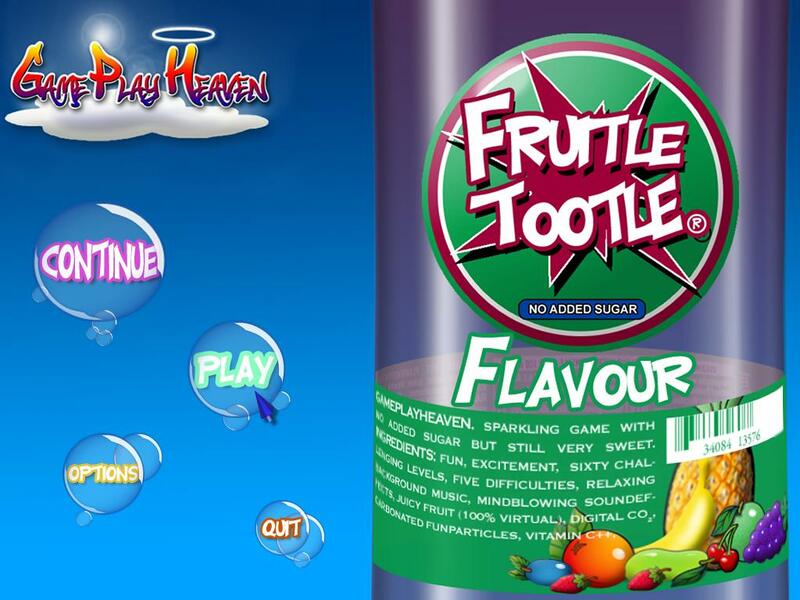 pop some fruity bubbles in Fruitle Tootle (download it here), a relaxing puzzle game. 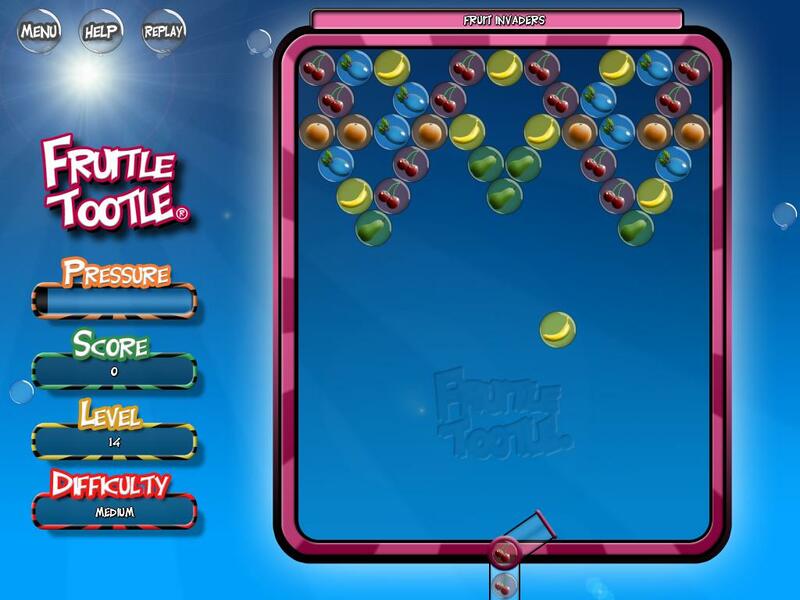 The object of the game is to clear each level of bubbles. To pop bubbles you have to shoot your bubble against at least 2 bubbles of the same type. Bubbles that are no longer connected to the top of the level, will drop off the screen. 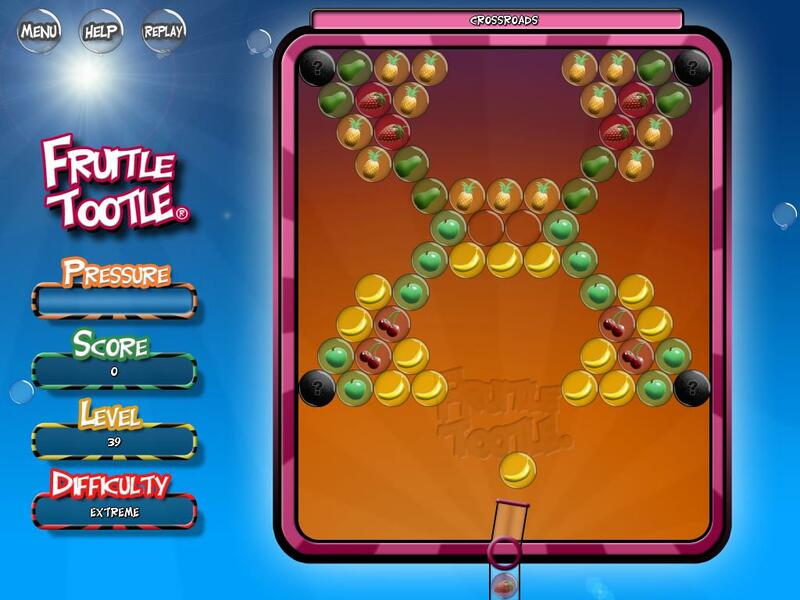 The harder levels contain special bubbles. The black bubble needs to be hit once, before it transforms into a bubble that you can pop. 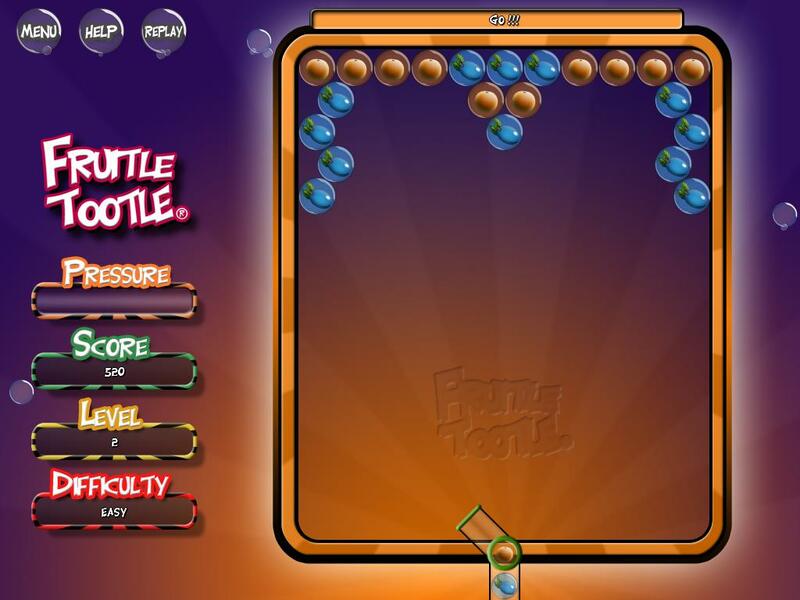 The empty bubbles are unpoppable, you have to drop them out of the level instead. The game features 50 levels spread over 4 difficulty settings. After which you can keep playing a never ending amount of randomly generated levels. 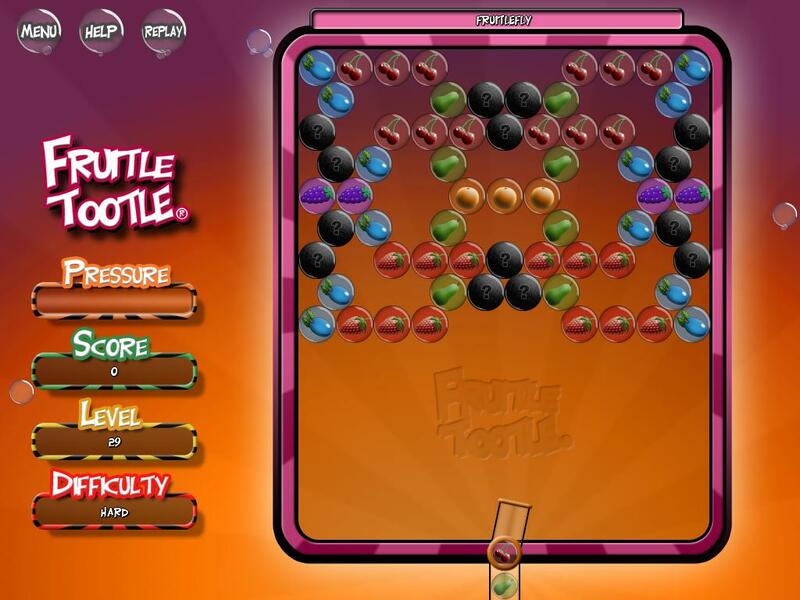 Easy has only a few bubble types per level. Medium has more bubble types per level. Hard introduces the black bubbles. Extreme introduces the empty bubbles.